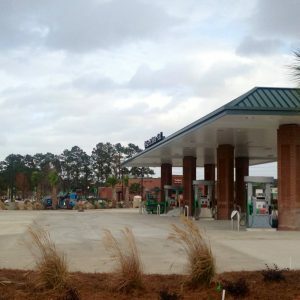 In mid-October of 2016, an engineer attended a CRMCA sponsored seminar on concrete parking lot design in the Wilmington, North Carolina area. 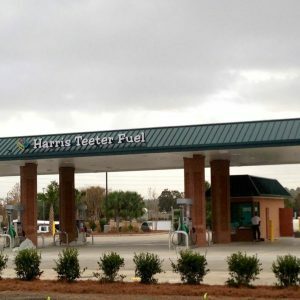 The engineer was serving as the General Contractor for a new Harris Teeter Fuel Center in Leland, North Carolina. Because of the seminar, the engineer realized the pavement design he had been provided was not optimal. The pavement design sections proposed by the Geotechnical Engineer were “under designed” with respect to the asphalt option and “over designed” with respect to the concrete option. Unfortunately, that is too often the norm rather than the exception. Of course, time was critical as the project was underway. CRMCA delivered a detailed report optimizing the concrete design the week following the seminar. The report provided detailed design parameters while clearly identifying the source, ACI 330, and basis for the guidelines within. The optimized concrete design option was selected. 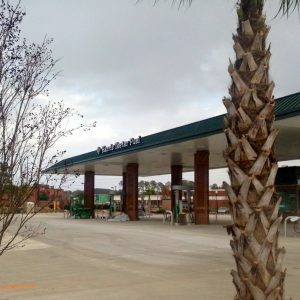 Approximately 500 cubic yards of concrete later, the concrete pavement was completed. The savings estimate of the optimized concrete design versus the provided “over design” was $20,000.00. Bottom line, a great looking project and a very satisfied owner. This all began in October of 2016. Below are photos taken in November of 2016 of a great looking project. CRMCA Design Assistance Conctact: Eric Johnson, P.E.